More than just a hit mobile video game, Pokemon Go is a great way for players to go outdoors and get a sense of the world around them. This is why many of developer Niantic's fundamental concepts for the game are tied together with the idea of exploration and of nature, with Pokemon hiding in various areas near natural features that reflect their own Types. It could come as no surprise, then, that Niantic is offering up some new opportunities for players to make the most out of Pokemon Go in celebration of the world's equinox, the twice-yearly event where the sun crosses Earth's equator. As revealed over on Niantic's official blog, for a period 11 days, Pokemon Go players will earn twice the usual amount of Stardust for both catching Pokemon and hatching Eggs. Players can expect the increased rewards to begin at 1 p.m. Pacific or 9 p.m. BST on September 22 and to end at the same time on October 2. 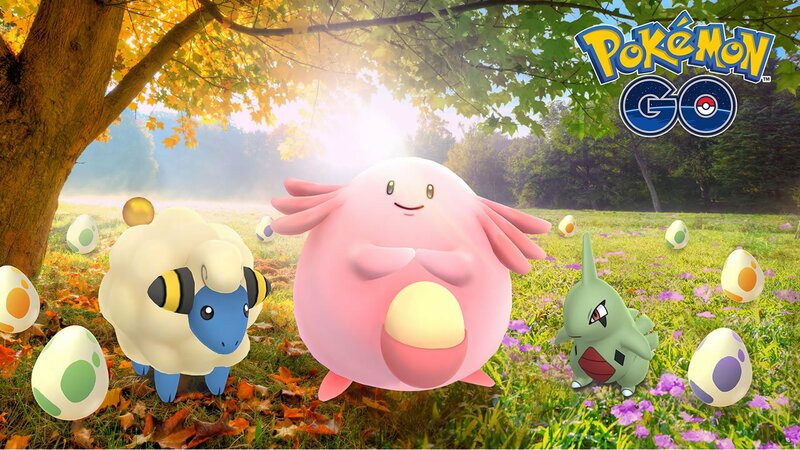 In addition to increased Stardust, trainers will also be able to collect special 2km eggs at local Gyms and PokeStops, and special boxes from the in-game shop will be available as well as the all new Super Incubator item that hatches all Eggs at a 50% increased pace. Beyond this, players will also find that registering a new Pokemon to their Pokedex will earn three times the normal amount of experience. With that in mind, players would do well to take this chance to battle their local Legendary creatures, particularly before their locations swap later this month on September 30. Looking to learn more about Niantic's popular AR-based hit? Check out some of the exclusive guides, strategies, and news stories we've featured on Modojo's own Pokemon Go tips and tricks guide hub.